This odd creature just appeared when I was noodling around with a sketch one day. 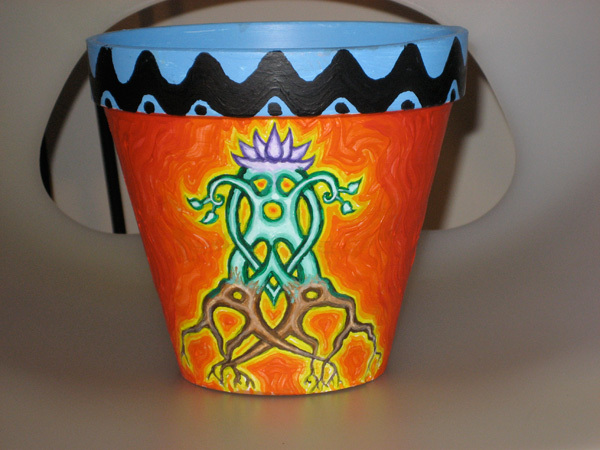 I painted it on a flower pot. Sometimes, the painted pots last for a long time. Sometimes, the moisture flakes the paint right off in a year or two. This one has lasted a while.